Pretty much this. For some reason it says "Summons and dismisses an Imperial Quilen", which was the CE mount for MoP, mmyes? 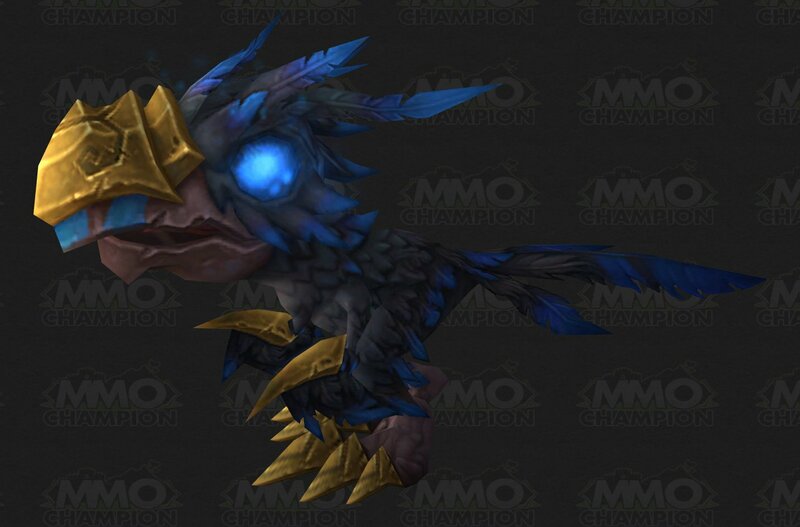 Not to mention a new pet, Dread Hatchling is being implemented which further proves that it's for the CE as we are gonna get both mount and pet (if my memory serves me right Blizz said we were getting mount and pet, and that's what we got for MoP aswell). And Blizz also said we were getting the CE in-game goodies with the preorder if I'm not mistaken, which could mean pre-order is on the horizon. YES THIS MEANS WOD BETA SOON! One can hope... But in the blog post they did mention that soon they will start testing 90's so that means WoD beta could be pretty close. I wonder why this wasn't named 5.4.4 though lol. Oh and I hope the mount is indeed the CE mount. I answered my own question. Apparently you get professions if you boost an existing 60+ character. Seems that we can pre-purchase the next expansions in a few weeks. Look at the new strings, oh no! 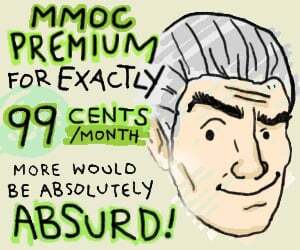 They're going to let people get max (or assuming just mop max, 600) professions. Good news, the strings say something about tokens, so maybe its just for the boosted 90's. If profession boosting could be bought though, would you? I'm on the fence here. Does this mean we're finally going to get some rewards for being long-time subscribers (aka Veterans) ? Might honestly get the CE edition. The artbook along are nice to have for the coffee table. 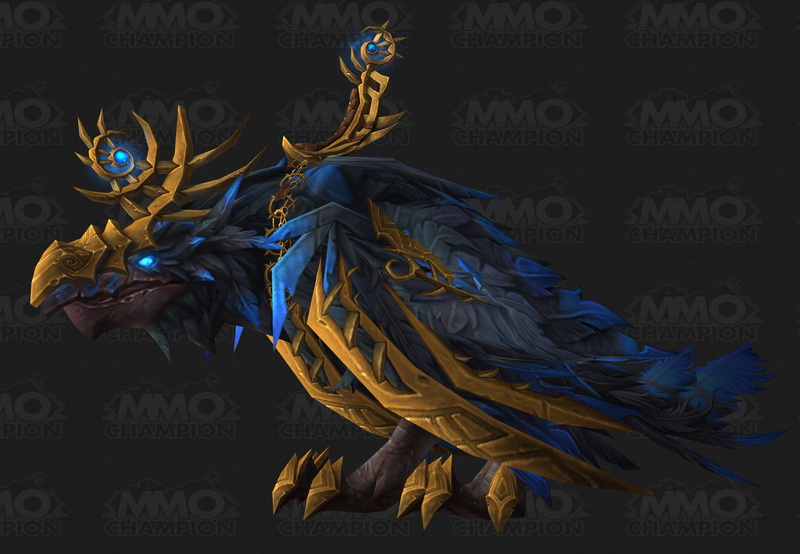 As a druid, if this is WoD's collector's edition mounts and pets, it will be the only one I ever get. Then, the only mount ever worth mounting, and only pet worth stalking me. Its definitely the CE mount. And the reason it needs to be pushed early is once you do a digital pre-order you receive the account awards. Kind of a bummer here though as I like the box and will be ordering the physical CE since i enjoy the soundtrack, art book and mouse pad. Pretty much confirms this is indeed the CE/DD mount & pet combo, also confirms I will be buying the DD haha. Also, at first I thought "OMG SELLING PROFESSIONS11! !1" But then saw it's a boost for higher level chars that are boosted, which is far enough to be honest. I'd actually assume because we can get these BEFORE WoD, it will be 5XX (Can't remember) i.e, the beginning of MoP profs, not 600. Edit: More Kara jokes aha. Also, they clearly should of called it the "Savage Raven Lord" rather than "Dread Raven Lord". While calling it Savage would be a good meme, The thing looks pretty damn ''royal'' to be considered savage :P, though we're talking about past Arrakoa, so its a given. Hm, so far no one is whining over the fact that the flying ravenlord uses proto-drake animations... Impressive!